As part of a corporate restructuring program, Flint Ink elected to discontinue manufacturing operations at the Berkeley facility and move those functions to newer plants. The facility dated back to 1900 and it encompassed 4.5 acres. The closure was placed with two companies. ASI, a mechanical contractor, and NRC. Working in tandem, the duo broke down the closure into two phases of work and set up a two-year schedule to complete the project. The first phase of work, performed by ASI, involved the scaling back of production, dismantling of production lines and transfer of assets to other Flint Ink facilities. As the first phase was being completed in the summer of 2004, NRC commenced activity on the closure of the facility. The scope included over 100 tanks and process vats, 15,000 linear feet of process pipe, seven baghouses, a PBR water treatment unit, and a sundry of appurtenances and support structures associated with each. Specialty equipment utilized included pigging devices to clear pipelines of residuals, 360-degree spray nozzle mounted wands for cleaning water-based ink totes, a Supermac heat exchanger/pressure pump unit to clean ink and varnish tanks, a 5000 CFM Guzzler to vacuum carbon black from silos and lines, a Linkbelt Excavator with shear attachments to cut tanks, and a 300-ton conventional crane to extract 80-foot tall carbon silos. In excess of 800 drums and totes of inks/varnishes/oils, corrosives, flammables, and toxics were transported from the site to TSDF’s. 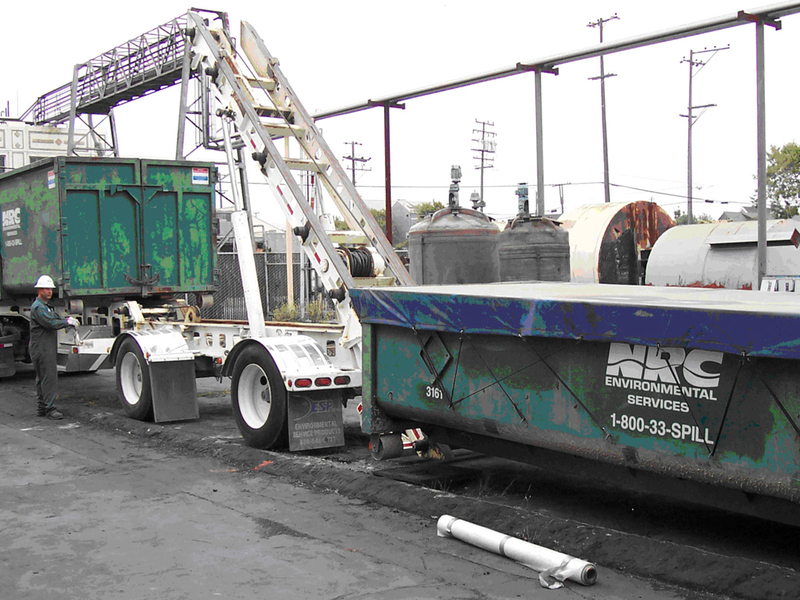 In addition, over 50 bulk truckloads of oil, oil based ink, corrosives, wash water and ink contaminated debris were transported to disposal facilities throughout the project. NRC documented the closure activity and submitted closure reports to the City of Berkeley and DTSC. 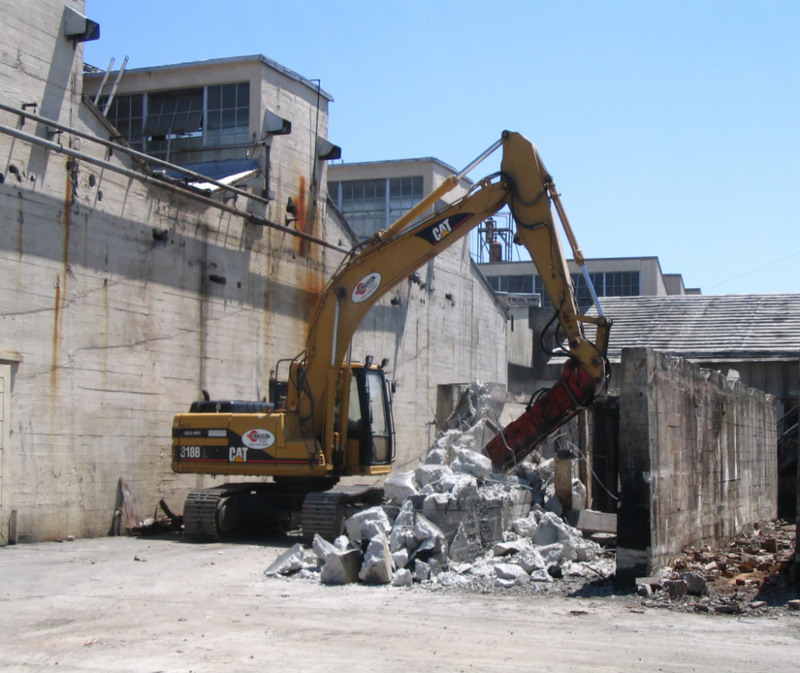 NRC also obtained demolition permits from the City of Berkeley, BAAQMD, and Cal OSHA. 800+ Barrels of inks, oils and varnishes removed and disposed of.